This involves the ongoing dispute between the Ramapoughs and the Township of Mahway, NJ over teepees and other religious and indigenous practices on land near the Polo Club subdivision and the Ramapo River. The judge’s ruling in favor of the Ramapoughs comes on the heels of the decision in a related case between the Township and the Tribe. 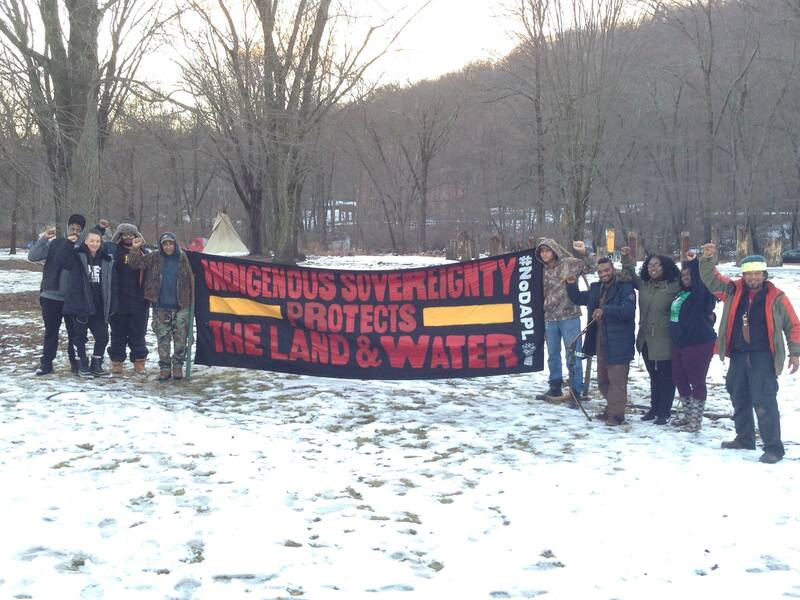 The municipal judge in that case ruled that the Ramapoughs held a valid Zoning Permit authorizing prayer and assembly, and further ruled that the Ramapoughs could place tents on the property and that they are indeed a New Jersey state-recognized Indian Tribe. Ramapough Chief Dwaine Perry said, “We are pleased to be continuing toward justice and give thanks to Judge Powers for his wisdom and courage in this matter”. Raghu Murthy, the EELC lawyer handling the case, added, “The Ramapoughs look forward to meeting with Township representatives to come to an agreement that acknowledges the Ramapoughs’ right to gather and pray on their property”.